Our active brothers are giving us a lot to be proud of with the creation of their very own philanthropic event, Gridiron Greeks for Autism Speaks. 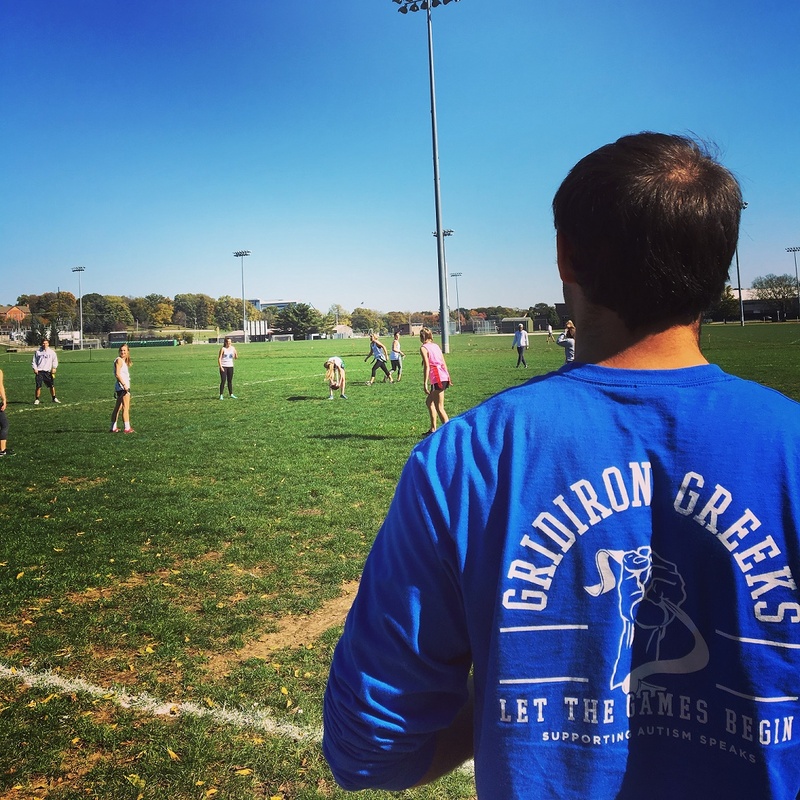 Gridiron Greeks is a sorority football tournament benefiting Autism Speaks. The first annual event took place this past fall, and after its success, the chapter already has big plans for next year. So who are the brothers bringing it all to life? Brother Matt Davis, founder and director of Gridiron Greeks, first brought the idea to the chapter at a philanthropy planning meeting. He saw so much potential in the idea that he wasted no time snapping into action to make it a reality. “I immediately jumped into the planning phase by gathering a great team of Fijis working to make the event a success,” says Matt. 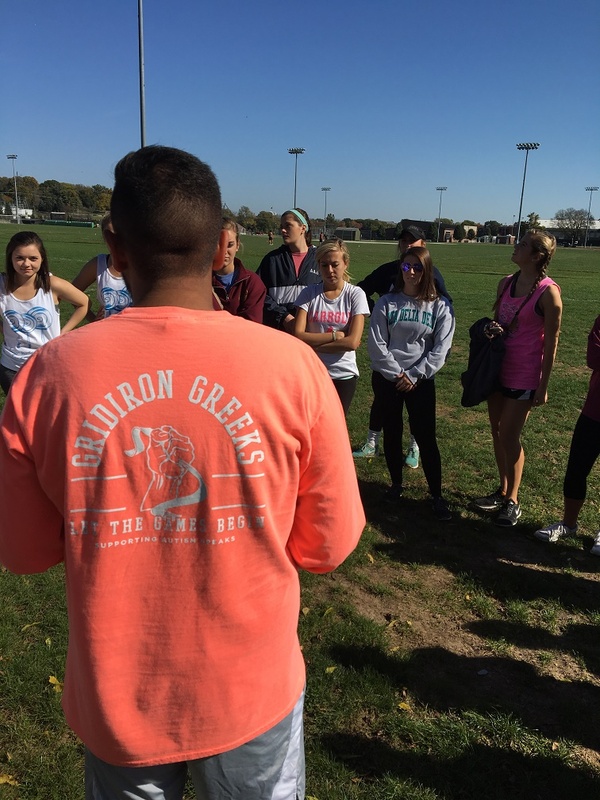 Brother Ben Fields led the recruitment process for the event, successfully gathering a great recruitment team that visited sororities to pitch Gridiron Greeks. Meanwhile, Brother Nick Virk led the planning of all the important on-field details, such as tournament rules and gathering referees. Chapter philanthropy chair Ben Bielski helped closely in many different areas and was a critical member of the events leadership team. “The event couldn’t have happened without support from these three individuals,” says Matt. The hard work of these four and of all the other active brothers involved paid off with a successful first year of Gridiron Greeks, and plans have already begun for the 2017 tournament. This past fall, the money raised came only from team registration fees, but the undergrads want to expand on that in the coming year. 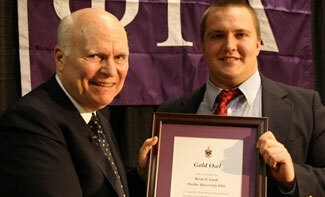 Matt is extremely proud of his brothers for their dedication in making Gridiron Greeks a reality. According to him, it’s not always easy to find people who are willing and able to invest real time in a philanthropy. But there were plenty of Fiji brothers who connected with this cause. “Many of our brothers have siblings and loved ones with Autism, so we are truly passionate about this cause and hope to see its success grow in the years to come,” says Matt. It seems that Gridiron Greeks has a wonderful future ahead. We are very proud of our brothers for representing Phi Gamma Delta by making a true impact on others, and Matt says that the chapter is just as proud to do it.